It’s amazing what a makeover can do. Not only can they transform someone’s appearance, but they can give the person’s life an overhaul too. Jose Antonio, known affectionately as Josete by locals in his native Palma, Majorca, used to be an electrician, but lost his job and ended up homeless after suffering from depression. He had spent 25 years living on the streets, making just enough money to eat by helping out at a car park, looking after locals’ cars and helping them park in the town. Jose, 55, was well-known in the area, with many people recognising him thanks to his long beard and straggly, grey hair. 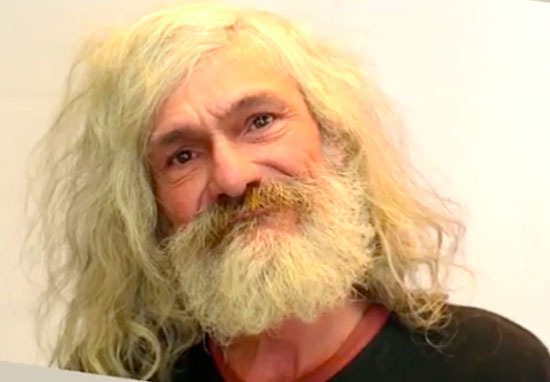 However, a local salon owner took it upon himself to gift the homeless man with a complete transformation, cutting and dying his hair, trimming his beard and basically doing a bang up job of a makeover. Thanks to the La Salvajeria hair salon, Jose went from being a typical homeless man – a sadly all-too-often sight – to a well-dressed, good-looking hipster complete with new threads and sunglasses. And many people didn’t recognise him, a local barman even served Jose a beer in the square where he normally works without clocking who it was. Taking to the square in a dapper white shirt and red trousers combo, locals complimented his new look. Though it wasn’t just his appearance that the makeover changed. 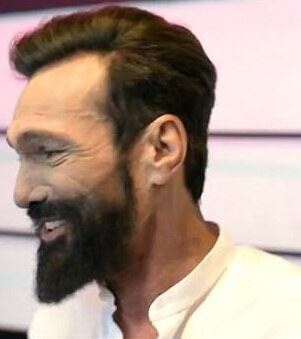 In an interview with a Spanish TV station, salon owner Salva Garcia revealed Jose had received financial assistance from a company, which wished to remain anonymous, and helped him get back on his feet, according to the MailOnline. It wasn’t just a change of look. It changed my life. What I want now is a proper job. I’m lost for words. Jose helps me to park my car every day. When we saw him after his makeover we didn’t recognise him. He’s a wonderful person and the video is amazing. It’s not just salon owners who can help transform the image and lives of others, though. A homeless man named Phil, from Tallahassee, Florida, was looking for work and had reportedly been told he would get a job at his local branch of McDonald’s if he turned up clean-shaven. Such a simple prerequisite, however, is not so simple when you don’t have money or a secure home. As Phil stood struggling to shave with a second-hand razor outside a gas station, a kindhearted City of Tallahassee Police Department Officer pulled up in the parking lot and noticed him. The officer, Tony Carlson, helped fix the razor and, without a mirror at hand, stepped in to give Phil a shave himself. I wish I could’ve done more, but in between calls for services, this was the best I could do. Well, it certainly seemed to help, as CNN reports, Phil went on to get the job and the opportunity for a new start.